Amy O extends a helping hand with her stunning sophomore album. When life knocks us down, how do we learn to get back up again? It’s an intimidating question, but one Amy Oelsner knows all too well. 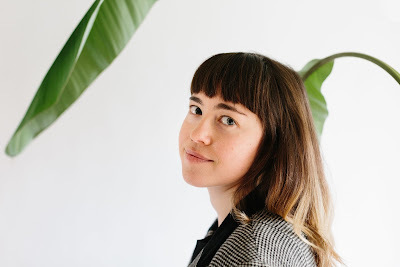 In writing her upcoming record, Elastic, under her moniker “Amy O,” the Bloomington-based artist went through her good share of heartbreak and loss—though at first blush, it can be hard to tell. From the punching grit of guitar billowing under her lightly tongued lines, to the firing rhythms in which she carefully tethers her melodies, Oelsner’s album aims to thrill as it snaps from track to track. Yet as Oelsner proves throughout her record, Elastic is never deceptively assured—the incredible amount of emotional depth that Oelsner imbues into her music is always lingering quietly below, fueling her strength and bracing her falls. Bent on overcoming the complexities of life and the intricacies of struggle, Oelsner brings her tribulations to light. In doing so, her latest release becomes a purposeful catharsis, freeing Oelsner and giving her the space to redefine her pain and realize her resiliency. With such an impressive amount of emotionality in a sophomore release, it’s easy to mistake Oelsner’s music as beginner’s luck. However, it’s a project that took over a decade to come together. From a young age, Oelsner’s love of punk and DIY drove her involvement in the music scene of her hometown of Fayetteville, AR. Spending time at shows exposed her to new forms of creativity, and it was this art that gave Oelsner the early foundations she needed for a future in music, but it never quite gave her a firm footing. It wasn’t until her travels years later that Oelsner would truly come into her own as an artist. “When I started moving around the country, I gained confidence and it was easier to share this new side of myself with people that didn’t know me well or have preconceived perceptions of me” Oelsner explains. Moving from Brooklyn, to Massachusetts, to Ohio, Oelsner began publicly releasing smaller snippets of her work; but after accepting a position at Rhino’s Youth Center in Bloomington, IN, Oelsner’s career as a musician and writer finally came into focus and moved into the studio. Filling her live band and finding a collaborator in Erin Tobey, half of Oelsner’s second project “Brenda’s Friend,” Oelsner’s music was maturing faster than ever, giving her the nudge she needed to release her first studio album Arrow early last year. “[Although] I was happy with Arrow, I also wanted to push myself to develop stronger themes,” Oelsner confesses. “I went into it with less clarity and confidence than with Elastic.” With this in mind, while beginning to work on her second album, Oelsner knew she needed to shift her focus: “I decided that I was go[ing] [to] let myself take my time, change my mind, be open to others’ ideas, but not to be afraid to stubborn when it mattered,” she recalls. With a new perspective on her work, Oelsner allowed herself more stylistic flexibility on Elastic. By incorporating past ambitions while actively exploring new ones, Oelsner was able to reinvent and streamline her sound without sacrificing any familiarity. From the bewildering drive on “History Walking” to the chaotic clashing of “Cherry Blossom,” Oelsner directs Elastic at a dizzying pace. However, even with its grungy riffs towering over each track, Oelsner never hides her emotionality, nor does she strive to. Warm but demanding, Oeslner skillfully weaves her words through each of her tracks, leaving a piece of herself on the forefront of every riff. Whether working through her grandmother’s death on the slow-burning “Sunday Meal” or the loss of a close friend on “Soft Skin,” every track remains embedded with moments of Oelsner’s past, unafraid of their vulnerability—a lyrical practice that’s depurative to its core, but ultimately easy for the songwriter. “Sometimes I think I’m a bit childlike in my process of writing music and I don’t totally understand how much I’m sharing of myself until it’s out there,” Oelsner confesses. “I guess my subconscious sort of tricks my ego into being vulnerable, and for that I’m ultimately grateful because there’s no point in playing it cool.” In openly purging her emotions, Oelsner never shies away from her grief, but rather thrives upon the freedom she gains in leaving it behind. By revolving her album around heartbreak, Oelsner’s goal is never to wallow in her own sorrow but to revel in her perseverance. “I believe that when you face and process difficult emotions or trauma, it opens up room internally and allows you to enjoy life more deeply,” Oelsner explains. Past each grungy line of strings and every infectious synth melody, it’s Oelsner’s ability to instill the strongest moments of resiliency that's the most captivating. In the first roaring seconds of the album, Oelsner recounts a previous cancer scare in “Lavender Night.” Bursting through the fuzz, Oelsner’s opening words shimmer: "Say you go away, gone is here to stay / I’m learning how to follow trails of light, lavender night." Grasping to comprehend her fragility, Oelsner learns how to bounce back and resist the negative thoughts looming behind her. It’s a track which serves as an example for Elastic as a whole: as we begin to openly confront the obstacles that fall in our path, we can start learning to appreciate the flexibility they give us to move forward. It’s this inner adaptability that’s at the heart of Oelsner’s record. “As a theme or concept, Elastic represents emotional resilience in the face of challenging circumstances.” Oelsner shares, “There is a real celebration in how I’ve been able to redefine myself and build beautiful things from the ground up after experiencing heartbreak.” Although Elastic stands as an expression of Oelsner’s own struggles and difficulties, she never does so in vain. Rather, Oelsner hopes to forge a common ground and show the resiliency within ourselves. “I want [listeners] to know that they are elastic too” she reveals, “If something really hard happens, they won’t be crushed by it, they’ll find a way to be ok.” Whether we lose someone close or have our heart crushed before us, Oelsner wants to reassure and empower her listeners in handling their pain. This attitude is central to Oelsner’s music, but it carries into her work at Rhino’s Youth Center as well. Spending the past few years as director of her local zine writing program, Oelsner has dedicated her time to helping teenagers find their voice through writing and art. “I think people often give too much of their power away by relying on authority figures to give them the go-ahead in making their voice/art public,” Oelsner explains in an interview with Dazed Digital. “With zines, you don’t need anybody else’s approval, so it teaches you a lot about being in charge of how you want your life to be.” In teaching young people to explore their creativity, Oelsner reflects on the same values she instills into Elastic and passes them along to another generation. “I hope that somehow by making this record, (and my zine “Yoko Oh Yes” that I’m releasing along with the album), more young women and young LGBTQ+ people are inspired to make music and generally make their voices heard,” Oelsner says. “I just want people to know that they can do and be more than they think they can…through self-love, creativity, and compassion.” For over a decade Oelsner has worked on living by these themes, but in Elastic she turns them onto her listeners. As a collection of 12 tracks quick-witted and bittersweet to their core, Oelsner uses Elastic to console and encourage, ultimately allowing her to reach a hand out to her listeners. For, when life knocks us down, we’re supposed to get back up. But, while we struggle and fail to find our ground, Oelsner will be there to support us—inspiring us to let ourselves fall, but then giving us the strength to brush our knees off and stand back up again. Listen to Amy O on bandcamp. Amy Garlesky is a philosophy/political science student and freelance writer based in Cleveland, OH and Burlington, VT. Follow her ramblings on twitter @ayygarl.